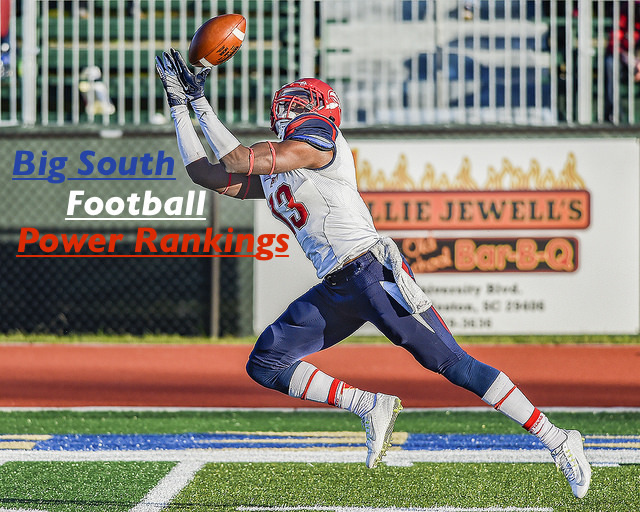 Here are the updated power rankings for the Big South. Note last week’s rankings in (parentheses). It was all offense Saturday as the Chants and Bucs met for an out-of-conference top 25 match-up. CSU rushed for 292 yards and 4 touchdowns. Combine that with 4 passing touchdowns from QB Shane Bucenell and you’re poised to get the win. But the ‘Blue Swarm’ struggled against Coastal as much as Coastal struggled against CSU. Even with the loose defensive play, the Bucs managed to get the win thanks to a blocked extra point in double overtime. 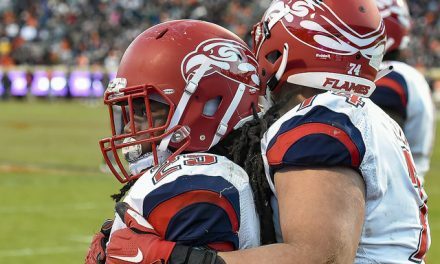 After a concerning start, the Flames started cooking with true freshman Buckshot Calvert. This was the young QB’s first start behind center and he broke records in the process. 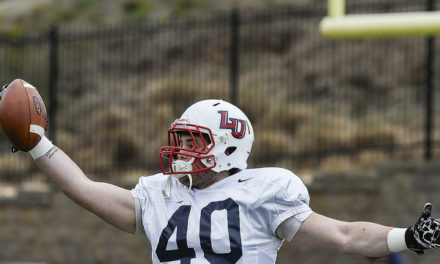 Calvert threw for 340 yards, the most of any freshman in Liberty history, plus 4 touchdowns. Liberty’s defense struggled at the beginning of the game, allowing the Colonials to throw just their third passing touchdown on the season. The Owls looked mighty good against Furman on Saturday. Thanks to WR Myles White, QB Chandler Burks and RB Darnell Holland, Kennesaw State got out to a 49-14 lead at halftime. The triple-option was alive and well as they rushed for 393 yards and 6 touchdowns, lead by Holland. While they got the win, the Owls only managed 3 points in the second half and allowed Furman to score 4 TDs. The two score deficit at the half didn’t phase the Hawks as they worked their way back into the lead. Fordham forced overtime but Monmouth got the win with a gutsy, but successful, 2-point conversion. QB Cody Williams had an impressive day, throwing for 290 yards and 2 touchdowns. RB Ed Royds averaged 5.3 yards a carry and rushed for 100 yards with 2 touchdowns. Through they forced 4 turnovers, the defense struggled, giving up 525 total yards. Gardner-Webb had no trouble with DII school Benedict College. The Runnin’ Bulldog’s defence forced a shutout, limiting Benedict to 154 total yards of offense. 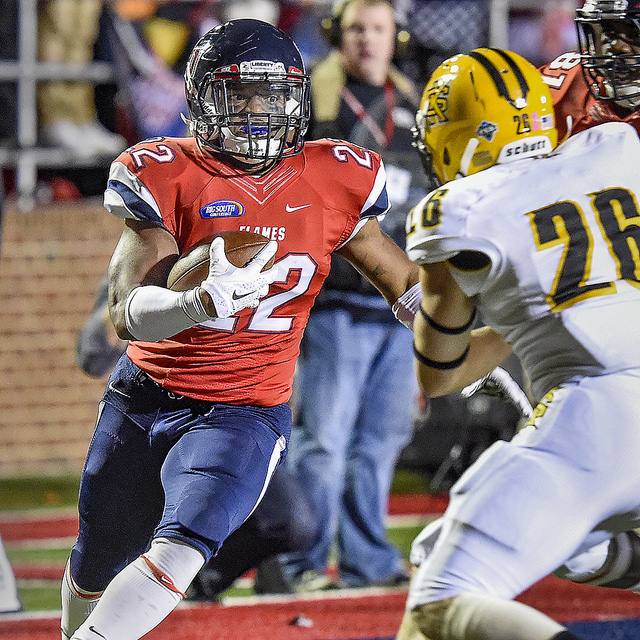 RB Khalil Lewis led Gardner-Webb on the ground with 112 yards with 3 touchdowns. The Blue Hose had the week off.